I love all the holiday-esque fabrics and colors that the designers are offering this time of year. These would be absolutely lovely on a festive neighborhood walk, at a holiday party or for Christmas dinner. 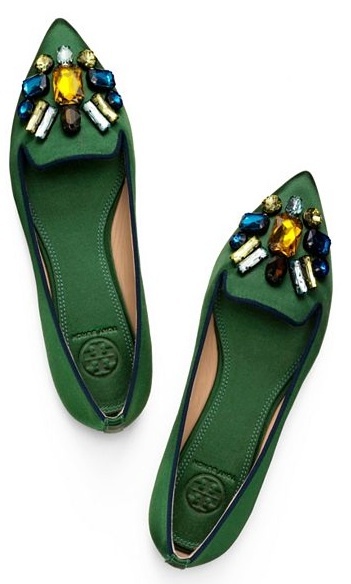 And if green isn’t your thing – try out the most royal looking slippers you’ve ever seen in purple!